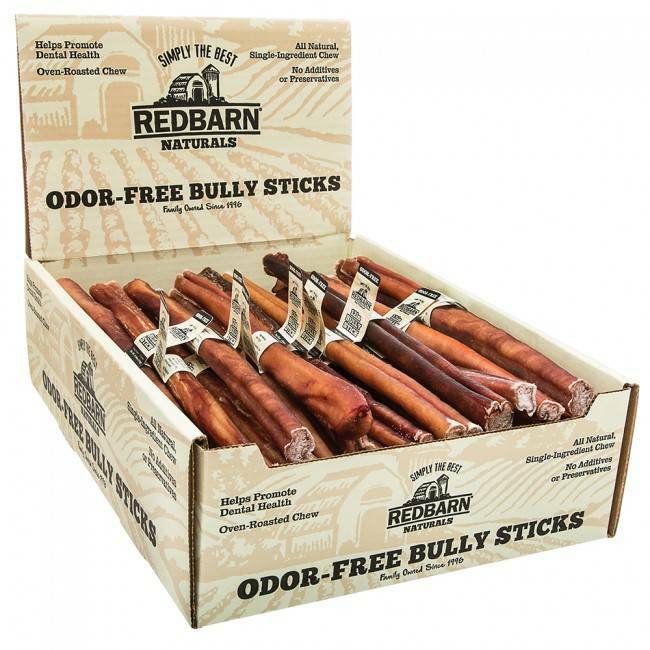 Redbarn Odor free bully sticks are a great, natural, single-ingredient chew for your pup! They're 100% natural, made from free-range grass fed cattle and contain no artificial colors, flavors, preservatives, no wheat, corn, soys, grains, or gluten! 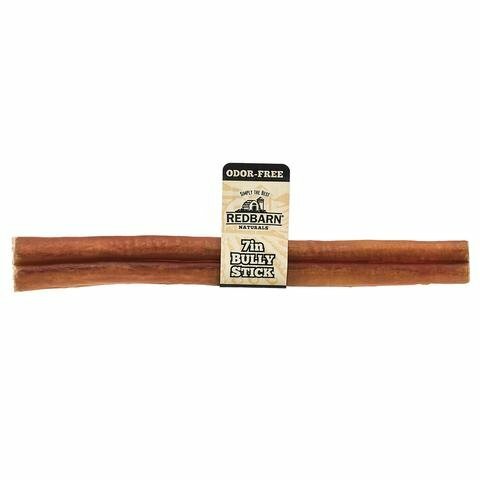 The sticks go through an all-natural proprietary process to help eliminate odor, to keep you happy while your dog enjoys his treat while helping to clean his teeth, too!